In a big relief from cumbersome tax filing process for the salaried class, Finance Minister Pranab Mukherjee today proposed to exempt them from filing tax returns unless they have other sources of income. The government will be issuing a notification exempting ‘classes of persons’ from the requirement of furnishing income tax returns, said the Memorandum to the Finance Bill 2011. 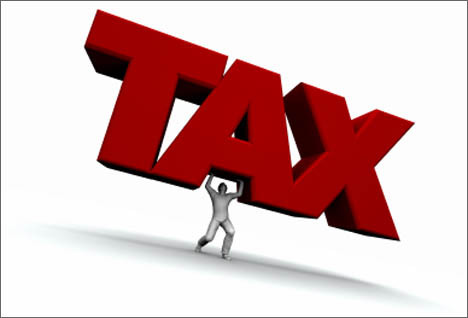 The decision, which will come into effect from June 1, 2011, will reduce the compliance burden on small taxpayers, it added. Salaried taxpayers who do not have other sources of income and whose incomes are subject to Tax Deduction at Source (TDS) will be excluded from filing returns. “Therefore, in cases where there is no other source of income, filing of a return is duplication of existing information,” the Memorandum said. Central Government servants on their retirement from service are entitled to CGHS facility, if they retire from office Ministries I Departments I Offices covered by CGHS. For availing CGHS facility, if eligible, after retirement from service, pensioners are required to fill up the requisite form and deposit the appropriate amount [lump sum amount equivalent to one year’s contribution for availing CGHS facility for one year (which can be extended on an annual basis on payment of the appropriate contribution as applicable at the time of renewal) or pay in lump sum equivalent to ten years’ contribution for availing CGHS facility with life-time validity). The process of issuing of pensioner CGHS cards starts only after the Government servant retires from service and only after the Pension Pay Order (PPO) and Last Pay Certificate (LPC) are issued by the Ministry / Department I Office. The completion of the formalities takes two to three months, which puts pensioners in a problematic condition for getting treatment from the date on which they retire from service and the time when a pensioner CGHS card is issued to them. 4. AIr Ministries / Departments are requested to give wide publicity to the contents of these instructions. NEW DELHI: Employees of 62 central government departments could start earning a performance-based incentive, over and above their existing salaries, from as early as the next financial year. The incentive will be based on the department’s scorecard in meeting yearly targets committed by their respective secretaries and ministers as part of the results-framework documents (RFD) system. The secretaries’ panel, headed by the Cabinet secretary, has already completed three crucial meetings and is looking to finalise its recommendations in time to enable performance-linked salaries in the coming financial year. The corporatisation of government departments by linking babudom’s salaries with their performance was recommended by successive Pay Commissions over the last 22 years. Starting with the Fourth Pay Commission , performance-linked incentive has been a recommendation of the Fifth and Sixth pay panel reports as well. However, in the absence of any credible benchmark for measuring a government officer’s performance, the performance-based incentive proposal never got off the ground. With the 2010-11 RFD scorecards for 62 departments set to be finalised by May and brought into the public domain by June 2011 – incidentally, though the RFD scorecards for the three months of 2010 were never published, they are very much available – the committee of secretaries on performance-linked incentive is said to have worked out a formula to calculate the incentive for a secretary as well as the officials lower down. For a secretary-level officer, the incentive is proposed to be 15% of cost savings (budgeted expenditure minus actual expenditure) by the department multiplied by its composite score less 70, divided by 30. Employees and their family members are entitled to reimbursement for medical attendance and treatment. 3 Categories of Hospital facilities are admissible for employees. Private Hospitals (Other than Recognized). What are the Medical facilities available for reimbursement ? Treatment for immunizing and prophylactic purposes. Diseases causing General debility and secondary anemia. Confinement including at residence if attended by Child Welfare and Maternity Centres staff; Pre-natal and Post-natal Treatment. Testing of eyesight for glasses for employees only. Blood and blood transfusion charges. cost of hepatitis Vaccine B, C & D.
Certain types of medical and ontological disorder, such as leukemia and neoplastic conditions. Micro vascular surgery and neuro surgery. Treatment with Laser which obviates the need of open surgery. Extra corporeal stone disintegration by ultrasonic shock waves. What are the recognized Hospitals for Medical Treatment ? All Hospitals recognized by primary health centres and dispensaries recognized by state government for treatment of their employees and or members of their family. All maternity and child welfare centres with facilities for indoor treatment and recognized by state government. Cantonment hospitals in cantonment areas where there are no government hospitals. Hospitals funded by Central / State government. Pay clinics in Bihar, Punjab , Haryana, UP ,MP, Rajasthan and Chandigarh. How to Get medical Reimbursement when treated in a Private Hospital ? An employee has to go to nearest CGHS or Government hospital for treatment. But in some emergency cases they may be forced to go to nearby Private hospital which may not be a recognized hospital. In such cases the employee has to obtain an emergency certificatefrom the doctor of this private hospital. In this emergency certificate, the reason for choosing the private hospital should be specified and it should be duly signed by the doctor. How much amount can be reimbursed for medical treatment for employees ? There is no limit for the reimbursable amount. Full amount for the medicines will be reimbursed and for other expenses including lab tests, scanning, operation, doctors fee etc specific rates approved according to CS(MA) rules will be given. Who are eligible for medical reimbursement ? Dependant family members of employees. Who are the Dependant Family Members eligible for Medical Reimbursement ? For female employee, either her parents or parents-in-law. For unmarried son, Till he starts earning or attains the age of 25. For Daughter, Till she starts earning or gets married. No age limit for son suffering from permanent disability. Widowed daughters and dependent divorced / separated daughter. Sisters including unmarried / divorced / abandoned or separated from husband / widowed sister irrespective of age limit. What are the things to remember when claiming for Medical Reimbursement ? Forms selected are correct or not. All the certificates are duly signed by the Doctor. Seal of the hospital is included in all the bills and the certificates. In case of Private hospital, emergency certificate is also present. If insurance policy is also claimed, then total reimbursement should not exceed the total expenditure. For the first time in the country’s minting history, government will issue coins of Rs 150, marking the number of years of taxation in India. The special coins, to be released by Finance Minister Pranab Mukherjee before his Budget speech, will also be brought out in Rs 5 denomination on the occasion of completion of 150 years, from 1860 to 2010, of the Income Tax department. This is the first time that coins of Rs 150 denomination are being minted by the government. The Department of Economic Affairs under the Finance Ministry recently notified the order. The Rs 150 coin , made of an alloy of Silver, Copper, Nickel and Zinc, will have an international design with ‘Satyameva Jayate’ and ‘India’ on the front side while a portrait of ‘Chanakya and lotus with honeybee’ on the reverse side. The Rs five coins will also be minted in the same fashion. While 200 coins will be minted in Rs 150 denomination, 100 such coins of Rs five will be issued. “The Income Tax department celebrated 150 years of taxation in the country last year and the these coins, especially the one in Rs 150 denomination will be minted for the first time,” a senior I-T official said.